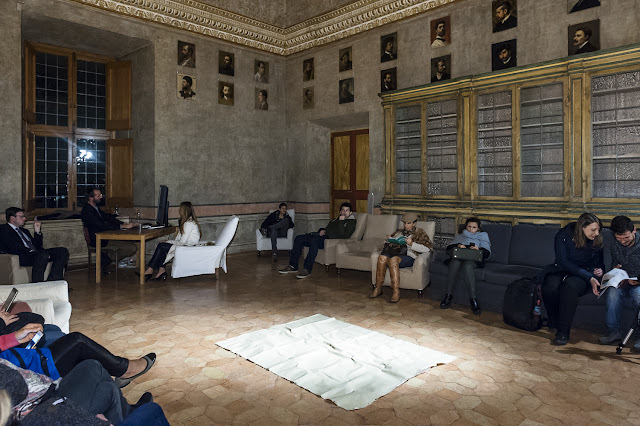 2016 - Durational Performance - In Collaboration with: Simon Rouby at Academy of France in Rome. 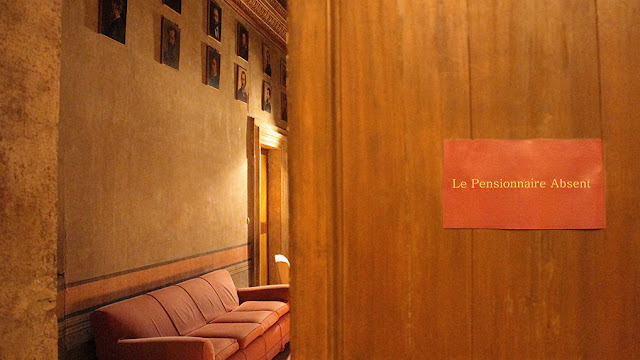 Inside the ‘Salon des pensioners’ at the French Academy in Rome, there are 51 paintings of the same dimension, made between 1800 and 1900. The paintings are portraits of the previous artist fellows of the French Academy, who used to reside in Villa Medici in Rome. To make a portrait on one self was a way to confirm and archive one's presence in the prestigious residency program. 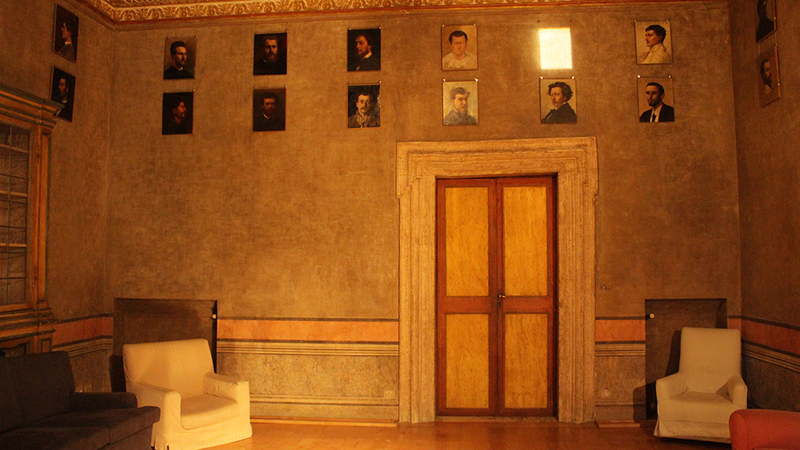 The performance ‘le pensionnaire absente’ was conceived for the Academy of France in Rome and it concentrates on the 51st portrait, which at the moment is missing from the exhibition. While entering the room an audio guide describes to the public the story of the artist whose portrait is missing and the motivations behind this absence. The re-invented story is adapted in the 50’s, during the period of the cold war. The voice guide narrates the artist’s life and known ability in portraying Mussolini. When Enver Hoxha, the communist dictator, visited Rome and discovered the abilities of the painter, he invited him immediately to go to Albania with the request of being portrayed by him. The artist accepted the offer and went to Albania to do the commission but during his visits the dictator ordered the complete closure of the country's borders, so the artist was obliged to stay and live in Albania until his death. Because of this commission the artist was expelled forever from France, and since then his image had been deleted from all French Institutions. During the day of the opening I invited one of the current artist fellow present in the villa, Simon Rouby, to portray in real time, on a digital screen, the people present in the room. The space transformed itself in a place where history is a process in becoming and of re creation, that gives to the narrative of everyone more or less voice and continuity.